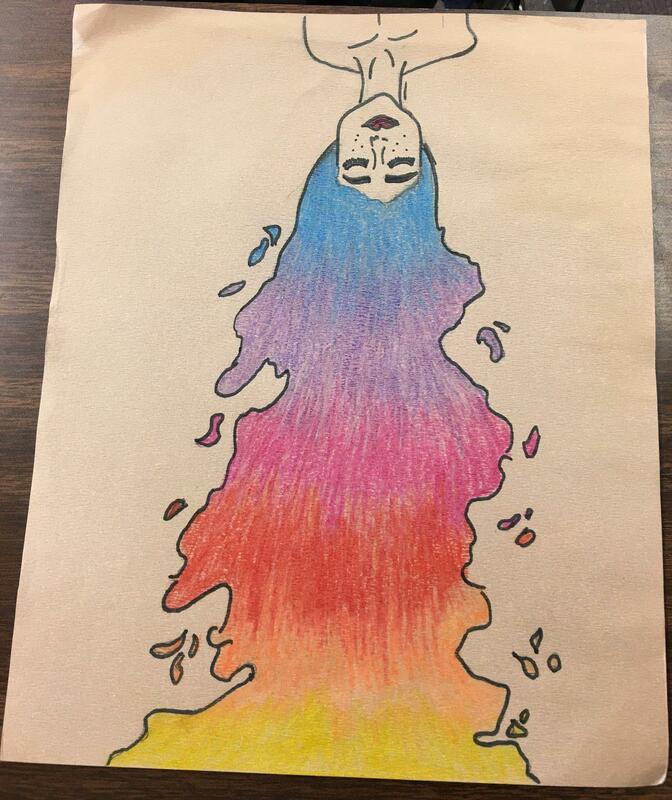 Just Art with Joanna: Colorful Goddess - NCHS Live! 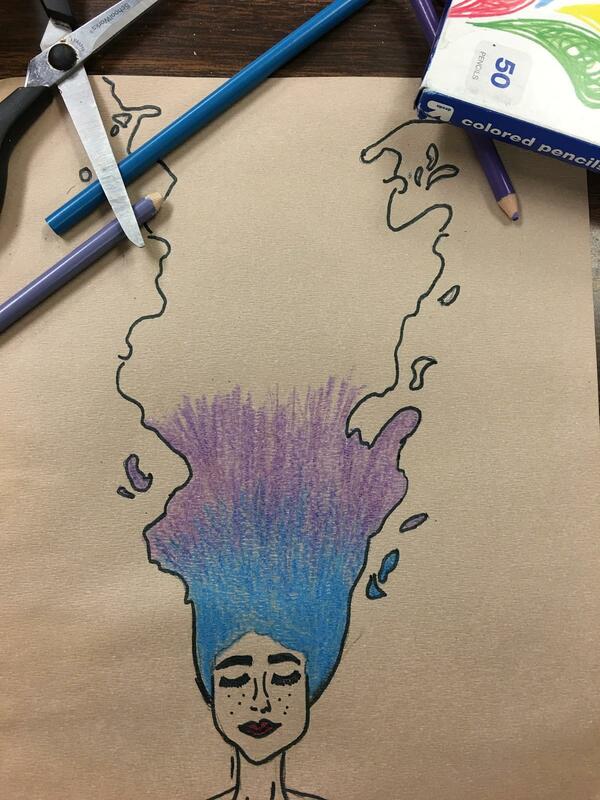 This drawing is a quick, easy and colorful piece of work, that I had a lot of fun creating. 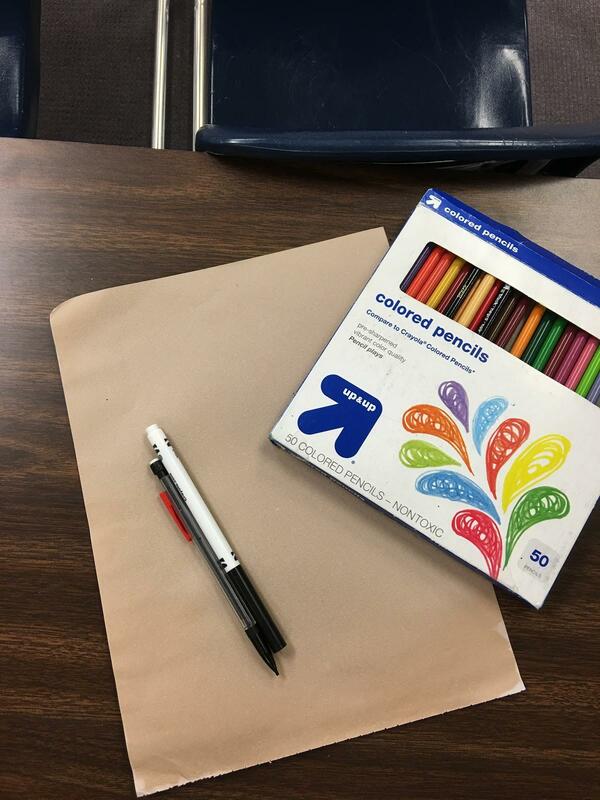 I hope that you have fun and enjoy drawing with me! 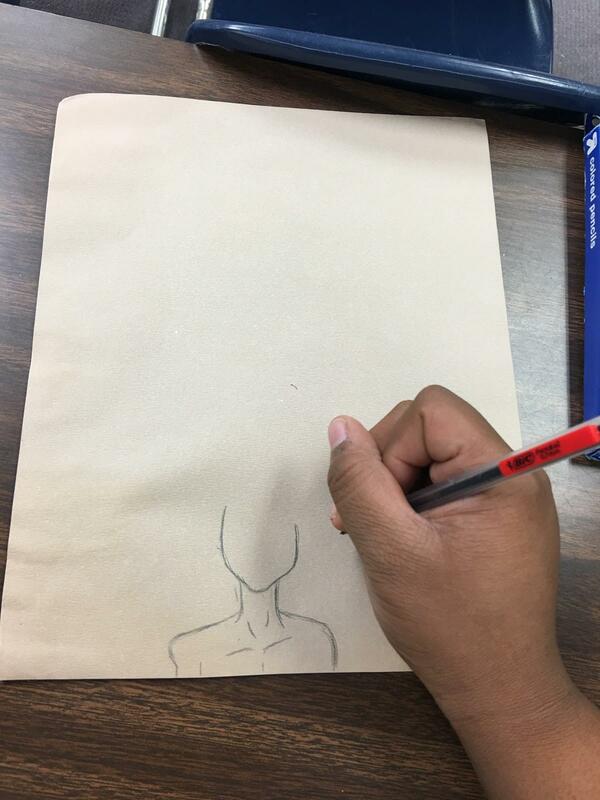 Step 1: Draw the shoulders and the head. Also, detail the shoulders and neck. 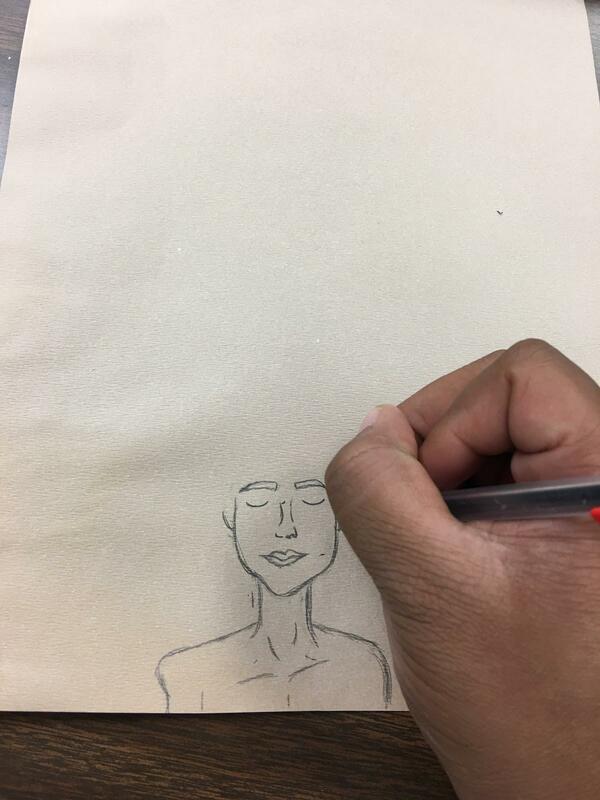 Step 2: Draw the face features. 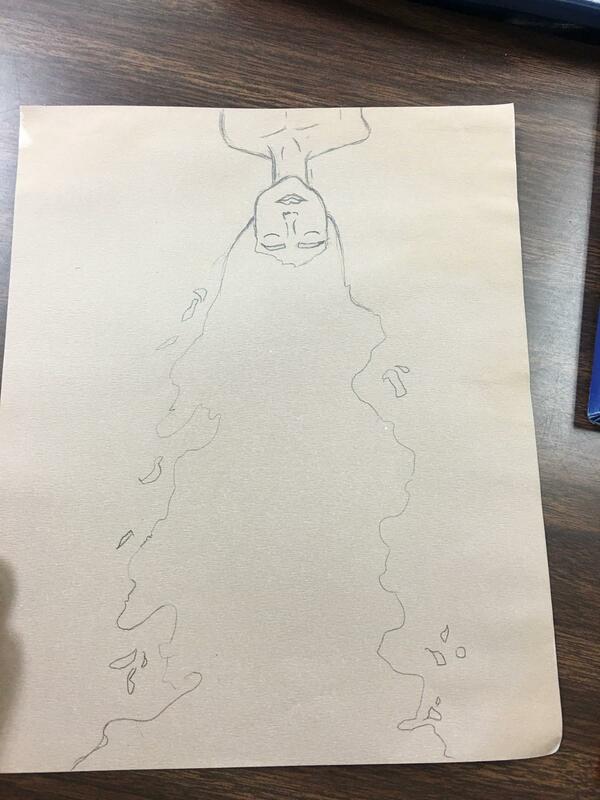 Step 3: Draw the hair in a way that should resemble a water fall. Step 4: Outline the body in black marker. 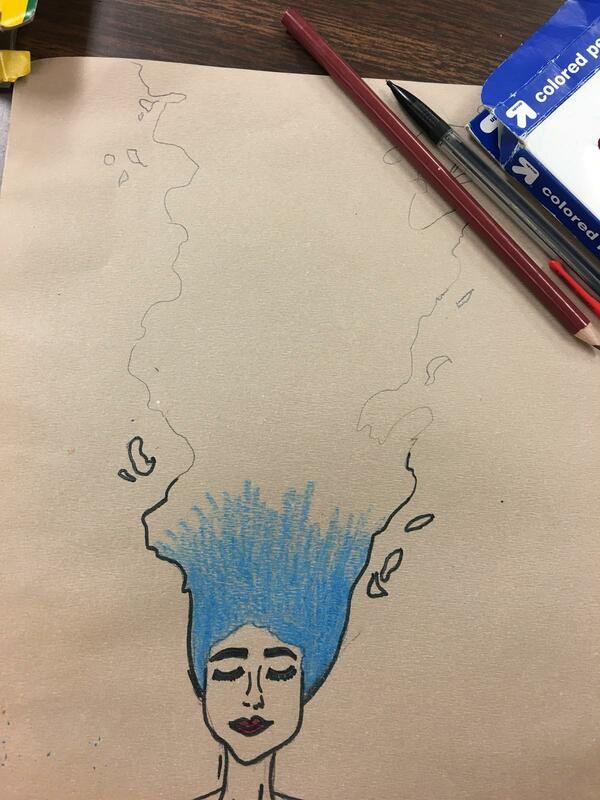 Step 5: Shade the hair in with the blue colored pencil. 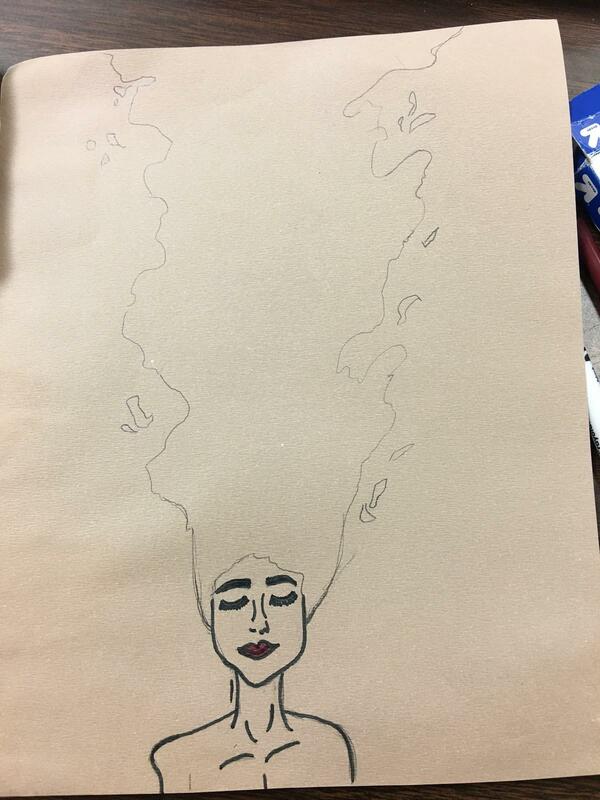 Step 6: Outline the hair with the black marker. Then, blend in the blue with purple, purple with pink, pink with red, red with orange, and orange with yellow.